Aim of the seminar: To discuss the context, conditions and suitable directions for an increased interaction with South Asia in higher education. What forms should it take? How can it be financed? Background: South Asia has one fourth of the world population and more than half of the poorest 1/5. It has all the major development problems of the contemporary world, including the most serious environmental problems (water, soil, vegetation and air) and health challenges. At the same time South Asia, especially India is now fast emerging as one of the major economical and intellectual centres of the globe. Its magnitude will soon be felt worldwide not just in the IT sphere but also in the field of production of services and goods in the international markets and in intellectual, scientific and cultural spheres. The creativity stems from the meeting of people from the many different cultures and castes in new flat institutions and business organisations and the return of white-collar migrants who worked in the West. 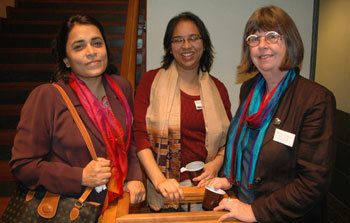 Rubhana Raqib from icddr,b in Dhaka, with Zarina Kabir and Gunilla Mellin from Karolinska Institutet. Sweden has a long history of interaction with South Asia in cultural, economic and educational fields but its presence is still rather limited compared to parts of East Asia and Africa. There is also a long experience of development cooperation but much less of public resources are today earmarked for academic and other exchange with South Asia. At present there is a growing interest on part of Swedish industry to increase its presence in South Asia and collaboration with Indian/South Asian companies. We can also foresee a steady increase of interest to interact in all other spheres, not least in research and education.Thus, there is both a strong development motive and a strong self-interest motive to increase Swedish interaction with South Asia. When it comes to student exchange, the number of South Asian students coming to Swedish universities have increased dramatically in the last few years. 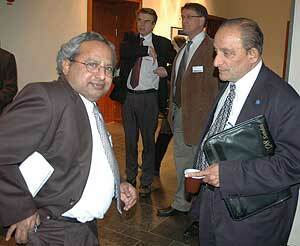 One reason is the changed relation to USA on part of Muslims in South Asia after 11 September 2001. Another reason is the focussed recruitment of South Asian students to Swedish University Colleges when they could not fill their courses with Swedish and European students. But is this really a healthy solution to financial problems at Swedish universities? And, more importantly, what should be the aim of such recruitment? 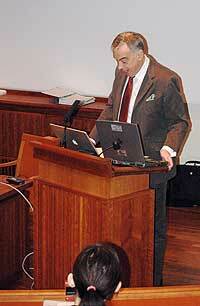 Please note that after the workshop, several presentations are now available as pdf-files. • Dr. Rubhana Raqib, Scientist, Immunology Unit, Laboratory Sciences Division, ICDDR,B: Centre for Health and Population Research, Dhaka, Bangladesh. 11.30 – 13 & 14 – 15.30. Session 3. Sending students to South Asia. 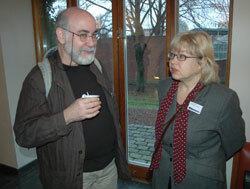 Marc Katz, Karlstad University and Mirja Juntunen, Uppsala University. Session 4. Best strategies for marketing Higher Swedish Education in South Asia, and for sending students to Higher Education in South Asia? 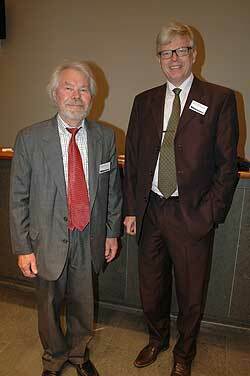 Staffan Lindberg, SASNET, with Erland Ringborg, Ministry of Foreign Affairs. 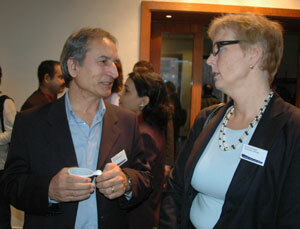 Vinod Diwan and Gunilla Norhagen, Karolinska Institutet. 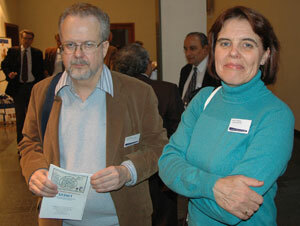 Per Hilding, Stockholm University and Anna Lindberg, Lund University. 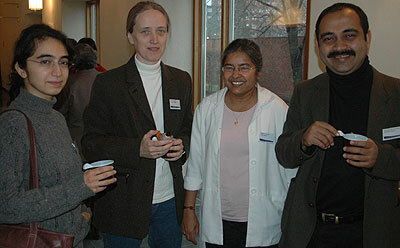 Seema Arora Jonsson, Swedish University of Agricultural Sciences (SLU), Uppsala, Gunnel Cederlöf, Uppsala University, Sadhna Alström, SLU, and Sunandan Roy Chowdhury, Samparkworld, Kolkata, India. 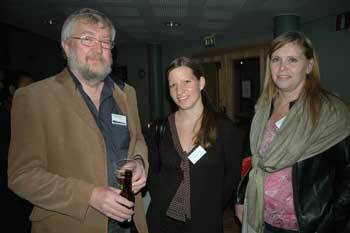 Hanumantha Rao, Luleå University of Technology, Per Hagander, Lund University, Olle Holst, Lund University, and K.V. Rao, KTH. 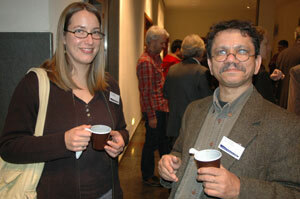 Cecilia George, Swedish National Agency for Higher Education, and Anver Siddiqui, Växjö University.